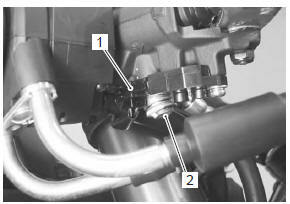 when installing the master cylinder (1) onto the handlebar, align the master cylinder holder’s mating surface “a” with the punch mark “b” on the handlebar and tighten the upper holder bolt first. 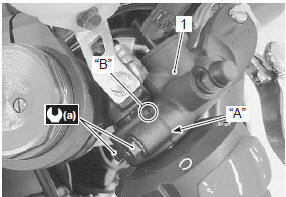 Bleed air from the master cylinder in the same manner as caliper side. 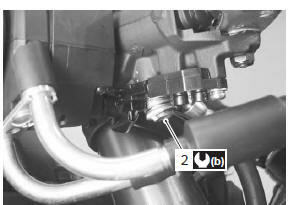 if air is trapped in the master cylinder, bleed air from the master cylinder first. Bleed air from brake system. 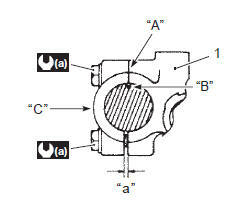 Refer to “air bleeding from brake fluid circuit” .